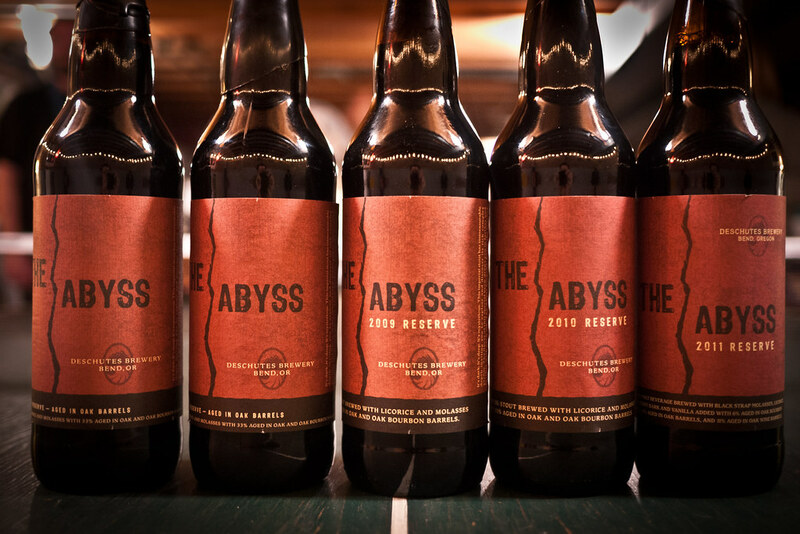 In 2009 I received a gift from my Nike client in the form of Deschute’s famous imperial stout, The Abyss. 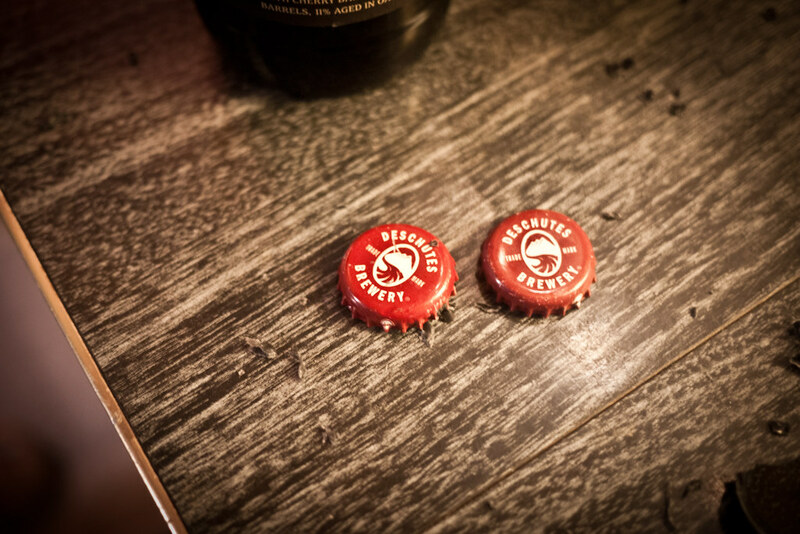 She waited in line for hours to secure two bottles of the beer she’d heard me mention many times during my trips to Beaverton, Oregon that year. As a wine aficionado herself, I think she appreciated my passion for the good stuff. And thank god she got me two, or else this would have been the greatest amount of restraint I’d ever have to show for a beer. I returned home with my carefully packed bottles (wrapped in t-shirts and jeans in my suitcase) and went over to Doug’s place to share the wealth. His excitement was matched my my own as he showed me a 2008 he had just received in trade. We immediately understood — we were going to do a vertical. We celebrated our good fortune by immediately opening one of the 2009 bottles I brought back. 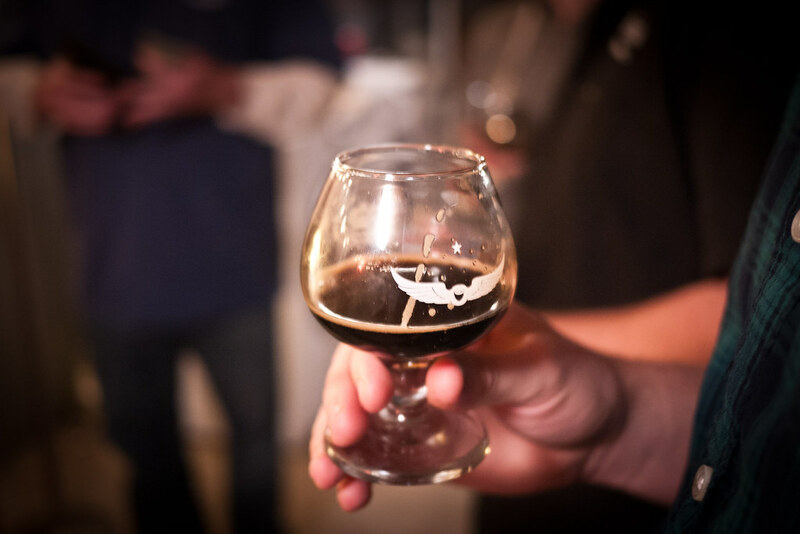 Black as night with a tan head, we were surprised by the tart smell wafting off this imperial stout. As it turns out, a good amount of the 2009s went sour due to infection (It was also the year they doubled their production to 600BBL) Despite it’s problems, it was still quite enjoyable, even if unintended. Fast forward to Dec 2011 and Doug (“dug” on beeradvocate.com) successfully traded for the rest of the line-up covering 2007-2011 (it only goes back as far as 2006 when they made a 35BBL batch). 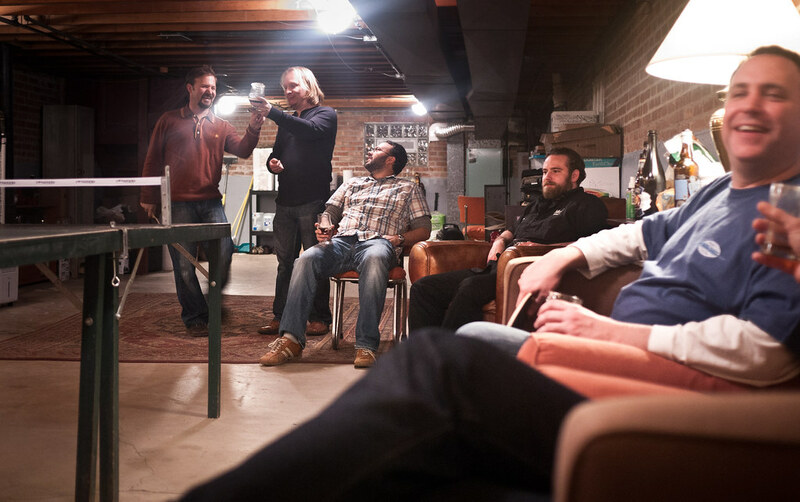 It was time to gather some friends for beer and ping pong. 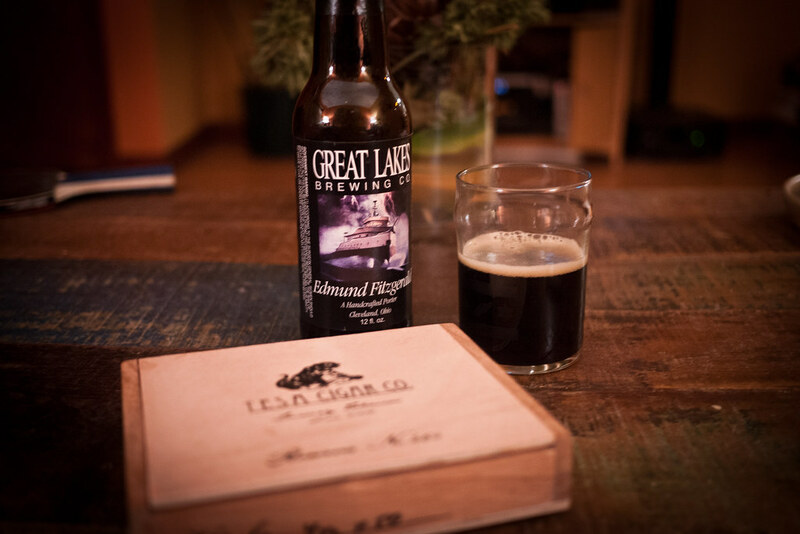 We warmed up with a six-pack of Great Lakes Edmund Fitzgerald, one of our favorite porters, and hit the table-top. Trust me, I know how ridiculous it is to consider this beer a “warm-up” to anything, but when you’re walking into an Abyss vertical, you start with the good stuff. 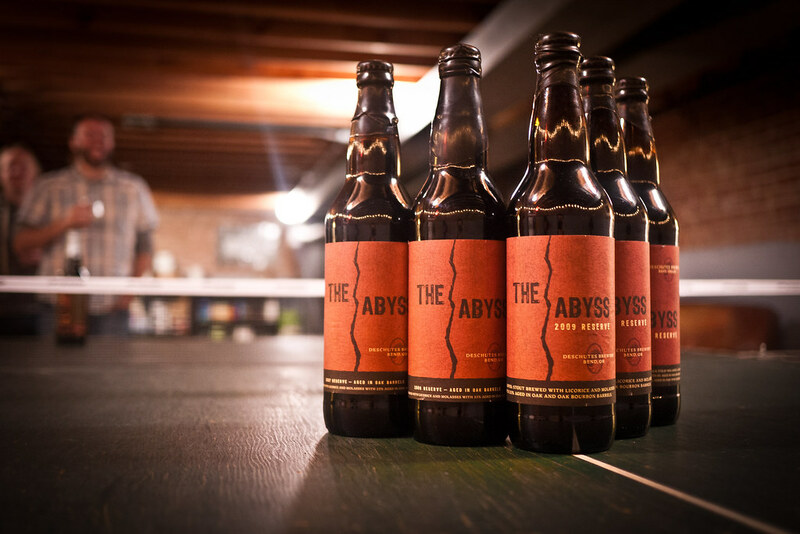 When it came to The Abyss, we figured we’d hit the freshest first, the 2011, and work our way into the past, sometimes bouncing back for a quick comparison. The newest bottle was what we expected — subtle coffee and vanilla with clear oak finish. 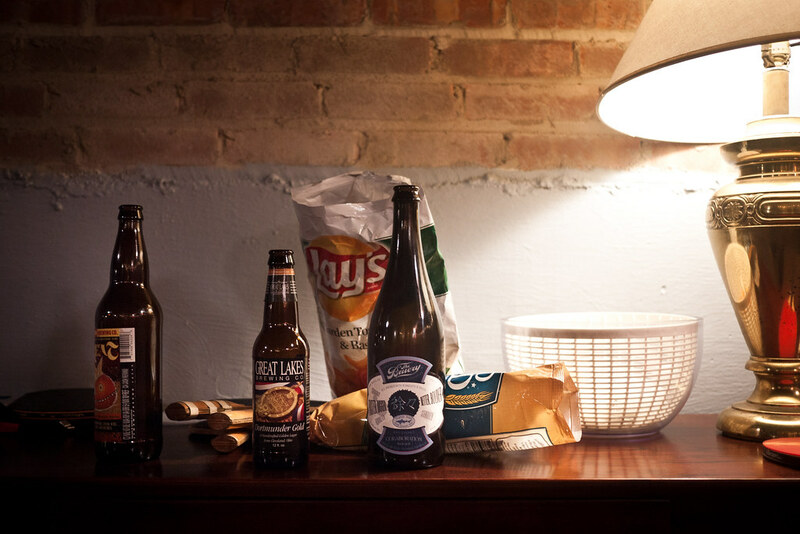 But of course, there’s so much more that lingers on the palate. It’s heaviness initially hides some of the more delicate bittering agents — black licorice, pine, juniper. It’s incredibly complex and difficult to isolate. The 2010 stopped everything. Chocolate notes were more pronounced, but balanced with a brightness and bitterness, mostly an anise note, but also slightly savory and oily like a soy sauce that gives it a creaminess none of the others in our tasting matched. Spoiler alert, this was my favorite vintage. The 2009 still smacked of a tartness, but it was indeed more mellow than I remember fresh. 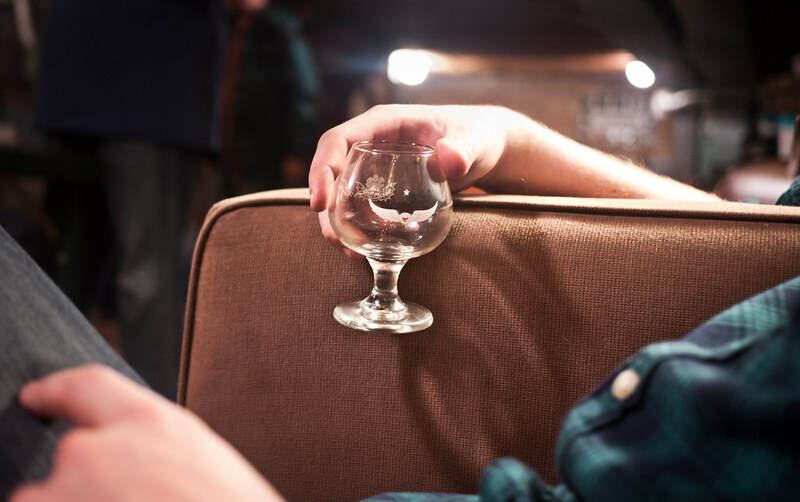 While there were no complaints, only curiosities, we moved on. More chocolate in 2008, but a bit more on the nose with a cacao nib sharpness. This one also seemed a bit more aggressive with the licorice flavor. Overall, this was the second favorite — off the 2010 by a matter of degrees only. At the end of the line, the 2007 had a much stronger alcohol finish and may have been past its prime, but it still packed some great coffee and chocolate notes to bring us home. 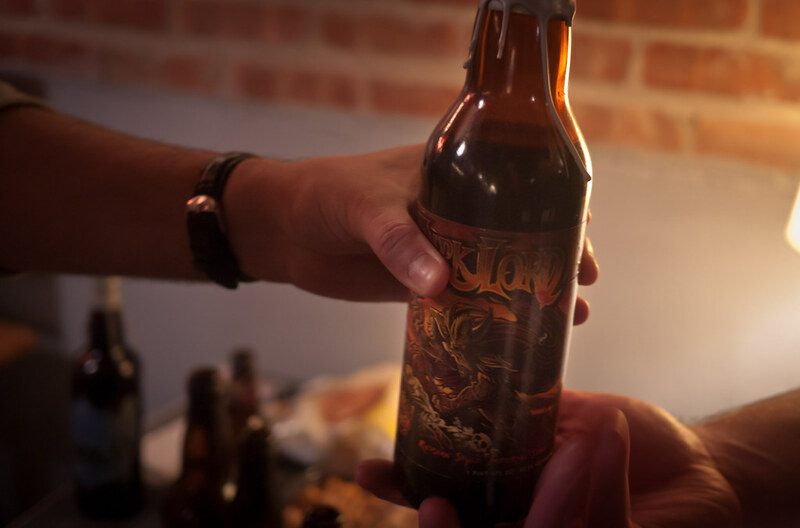 As a bonus (and a serious one at that), Matt donated a surprise Dark Lord 2007 from Three Floyds, also a world-class imperial stout. A touch more brown than black, this one also had a boozy finish with some tobacco notes riding alongside anise and chocolate. Both 2007s held up impressively well. 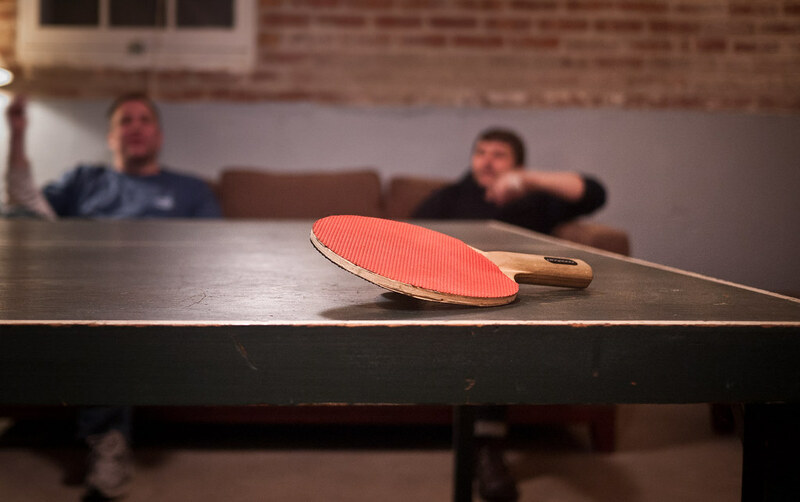 After that, the night dissolved into some brutally uncoordinated ping pong and beer cellar ravaging. 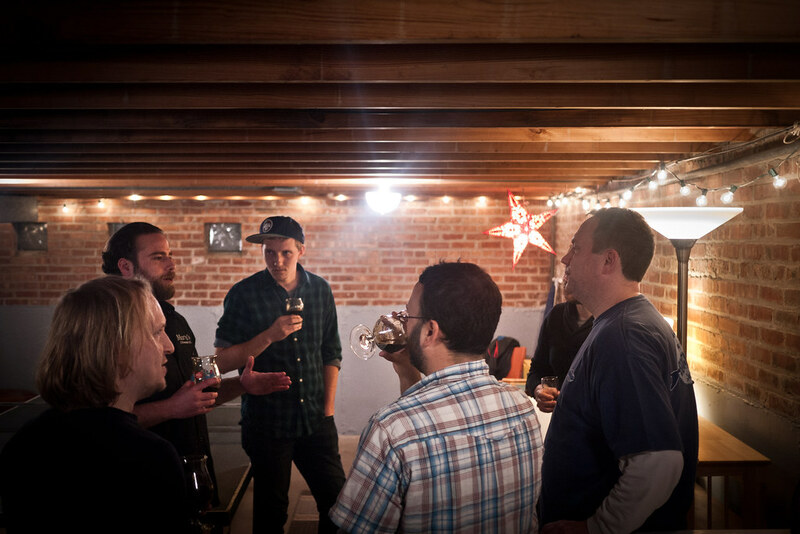 It’ll be tough to top this gathering in 2012, but Doug’s beer cellar continues to grow despite his begging us to help him put a dent in it. 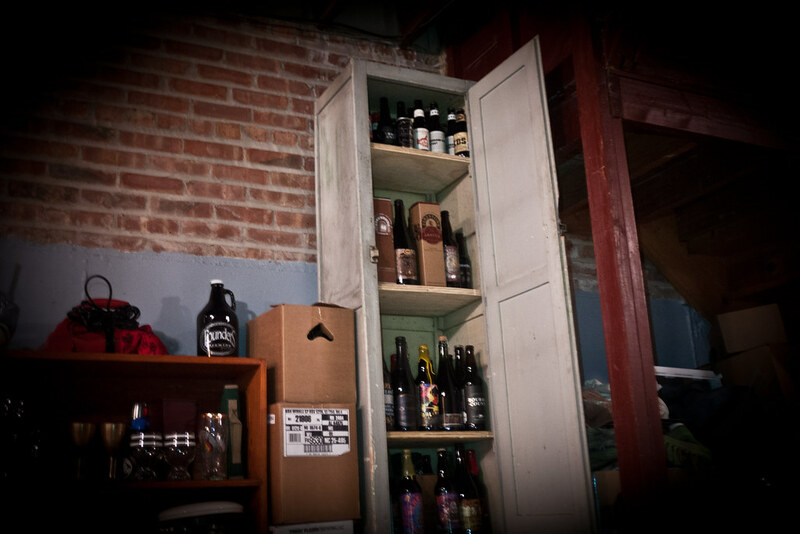 What can I say, beer drinkers make better gifters. 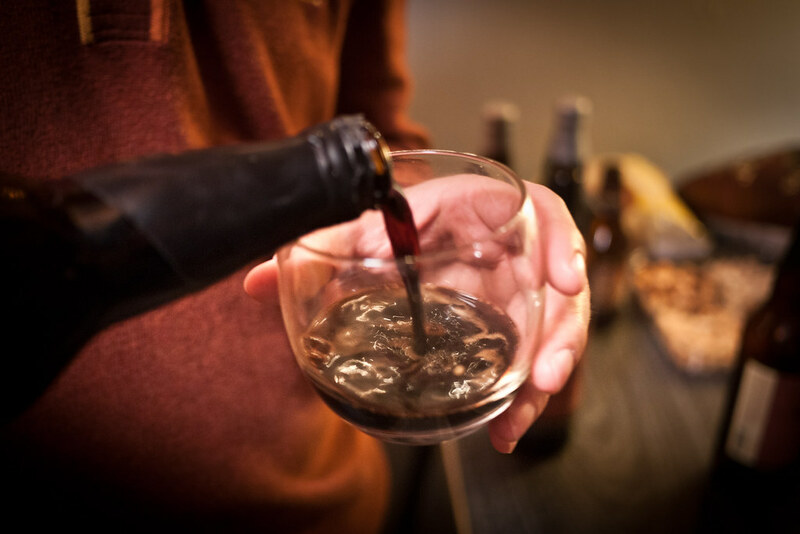 We’ll always show up with a couple bottles to get something started.